Each of us has "hard-to-love" people in our lives sometimes they are those nearest and dearest to us "Loving Like Jesus," an interactive study ideal for individuals or small groups, helps women learn how to obey Jesus' commandment to love one another. First, believers must learn to understand the essence of genuine love and fully accept Jesus' love for us all--only then can they move beyond personal feelings and extend His love to others. 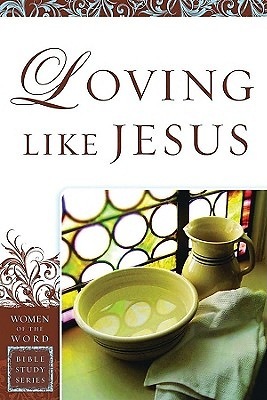 "Loving Like Jesus" includes eight weeks of study. Topics include "Love's Tremendous Importance," "Love's Incredible Power and Ultimate Source," "Love Is Sacrificing and Serving," "Love Covers Over Wrongs and Is Patient" and much more. Each week's study examines a facet of love, digs into Scripture to find out what God's Word has to say about it, offers readers an opportunity to reflect on their own efforts to love and suggests practical action steps to help women apply what they are learning.